A sure way to stand out. The new M210 Monkey Light is lighter, more secure and even easier install. 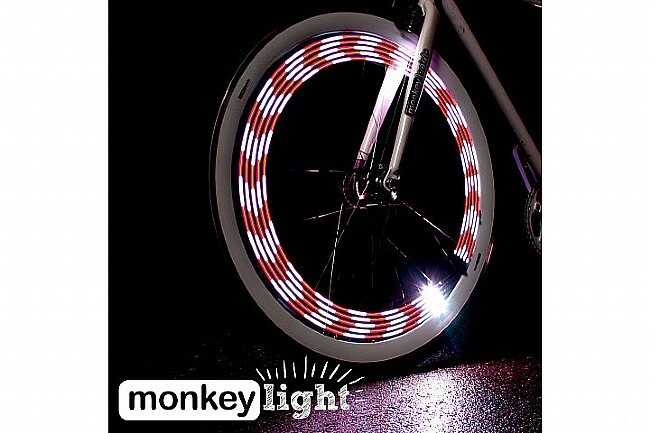 Like the original model, this unique light attaches to your wheels to produce an awe-inspiring array of bright and colorful light patterns while you ride. Features include a rugged waterproof rubber coating, three point strap attachment to the spokes and a hub mounted battery pack for totally a vibration-free and balanced ride. 10 full-color ultra-bright LEDs and pre-programmed themes deliver stunning full color 8-bit graphics. This is just one light so if you want to run them on both wheels you need to order two. 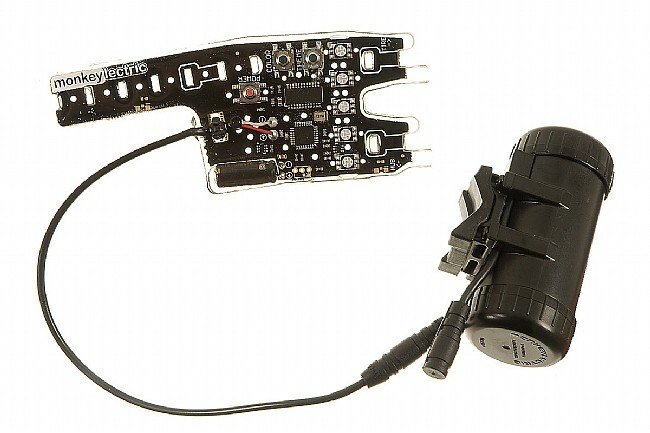 The M210 Monkey Light runs on three AA batteries (sold separately) in a removable battery pack. 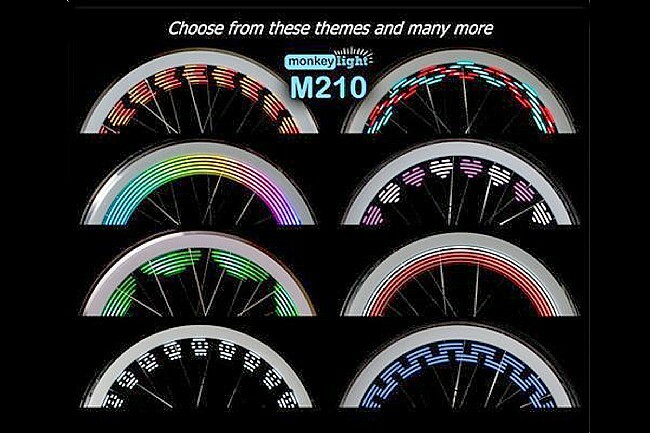 The M210 Monkey Light will fit on any wheel larger than 20" with 18-40 spokes. Runs up 40 hours. Light up your road, mountain, cruiser or BMX bike and hit the streets!